Preah Nimith means "God of transformation, metamorphosis or creation" This is a place really magic. Now you can access by road, it is good news for all tourist. Before that time you could only visit this waterfall by boat and it was not easy for everyone because you had to walk on rocks. 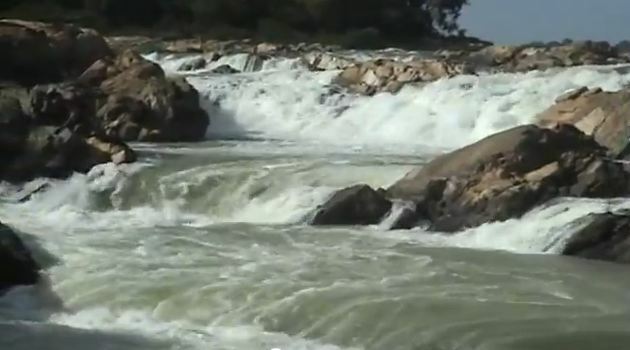 It took three hours by boat from Stung Treng to reach the waterfall. 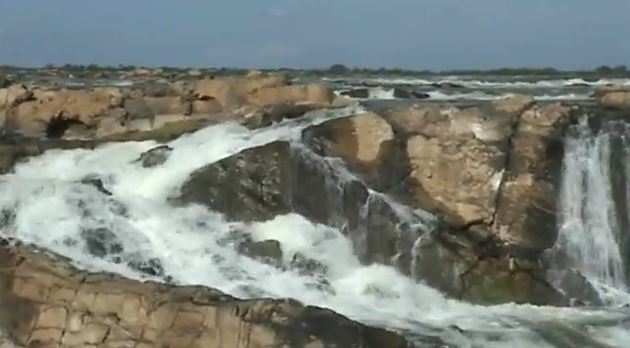 A very few people make a trip to this place because it is very rocky and to reach the waterfall. 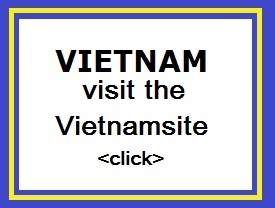 It is located in the border of Laos and North East Cambodia. This is where the Mekong River enters Cambodia. When you arrive you will be amazed to see the Mekong River running along all these rocks, dating from thousands of years ago. Small waterfalls and large waterfalls, you'll admire these various waterfalls at this magical place. Do you have any plans to go somewhere with your family? Do you want to spend your holidays this year on a beach, at a temple, in the mountains, in another country or somewhere else? If you do not mind taking an eight-hour car journey out of Phnom Penh for the holidays, LIFT recommends Preah Nimith waterfall. Located in Kampong Srolao village, Chheb district in Preah Vihear province, this natural tourist site is not well known but incredibly beautiful. As you approach the waterfall, many big and small trees line the road. You are aware of animals� cries and birdsong, and the greenery of the forest. As you get close, the sound of running water gets louder until you finally reach the waterfall. �The sound of the waterfall on the rock seems like someone is playing music,� said Ear Boneath, a 20-year-old tourism management student who visited the waterfall. She added that although it is not possible to swim in the waterfall, you can stand on the rocks and take deep breaths to get fresh air, which helps tourists feel good and release stress. 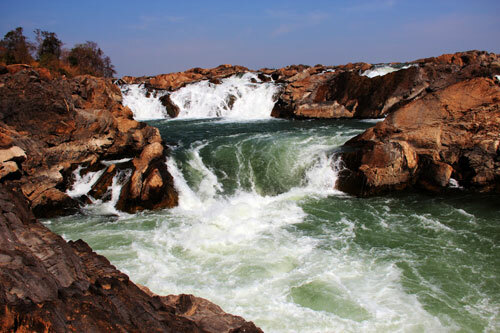 The best way to reach the waterfall is through Stung Treng. Tourists don't have to take the ferry from Stung Treng town because the bridge from Stung Treng to the waterfall is now ready. Although it is possible to travel up through Preah Vihear to the waterfall, it is better to cross through Stung Treng because the roads are in better condition. This natural tourist site does not have anywhere luxurious to stay, but it has basic food service and restrooms for showering. Besides the waterfall, you can also travel to the Mekong River to see the river dolphins. If you want to enjoy your holiday at a real natural tourism site without big crowds, you should go to Preah Nimith waterfall.